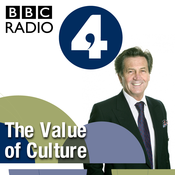 Melvyn Bragg and his guests discuss the meaning and value of culture in the twenty-first century. In a programme recorded in front of an audience at Newcastle's Literary and Philosophical Society, Melvyn and the panel consider whether Matthew Arnold's assessment of culture as 'the great help out of our present difficulties' still has any relevance, almost 150 years after it was written. With: Sir Christopher Frayling Former Rector of the Royal College of Art and Chair of Arts Council England Tiffany Jenkins Sociologist and cultural commentator Matt Ridley Scientist and writer Producer: Thomas Morris. Melvyn Bragg considers how technology and increasing access to education made possible the rise of a true mass culture in the twentieth century. He examines how the rise of cinema and photography opened the cultural realms to millions, and how our understanding of what culture is, and what it's for, was transformed by the work of scholars such as Richard Hoggart and Raymond Williams. 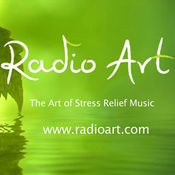 Producer: Thomas Morris. Melvyn Bragg considers the 150-year history of the Two Cultures debate. In 1959 the novelist C.P. Snow delivered a lecture in Cambridge suggesting that intellectual life had become divided into two separate cultures: the sciences and the humanities. The lecture is still celebrated for the furore it provoked - but Snow was returning to a battleground almost a century old. Melvyn Bragg visits the old Cavendish Laboratory in Cambridge, scene of many of modern science's greatest triumphs, to put the Two Cultures debate in its historical context - and Paul Nurse, President of the Royal Society, reveals the influence the Two Cultures debate had on his development as a scientist. Producer: Thomas Morris. Melvyn Bragg continues his exploration of the idea of culture by considering its use in the discipline of anthropology. In 1871 the anthropologist Edward Tylor published Primitive Culture, an enormously influential work which for the first time placed culture at the centre of the study of humanity. His definition of culture as the 'capabilities and habits acquired by man' ensured that later generations saw culture as common to all humans, and not simply as the preserve of writers and philosophers. Producer: Thomas Morris. Melvyn Bragg presents the first in a series of programmes examining the idea of culture and its evolution over the last 150 years. In 1869 the poet and critic Matthew Arnold published Culture and Anarchy, a series of essays in which he argued passionately that culture - 'the best which has been thought and said' - was a powerful force for good. In this first programme Melvyn Bragg visits the Sheldonian Theatre in Oxford, where Arnold first unveiled his ideas on the subject, and discovers how Arnold's ideas were refined and rejected by later thinkers. Producer: Thomas Morris.